Everyone from ministers, Sarawak state authorities, NGOs and community leaders all met together to find an affordable and an environmentally and socially sustainable pathway for Malaysia to transform its energy system, and electrify its rural areas. But with global warming accelerating, this needs to happen at the same time as Malaysia steps up globally to more ambitious climate commitments. Business as usual is a recipe for disaster. The era of coal, gas, oil and mega dams is over. I am an environmental and social justice activist and have spent most of my working life in politics in Australia trying to persuade governments that so-called ‘development’ that destroys the Earth, drives extinctions and global warming and enriches only a few, at the expense of many, is not progress. In Australia, the Great Barrier Reef is now dying from bleaching and acidification, there is a huge campaign against Indian Company Adani's proposed coal mine in Queensland and there have been terrible bushfires, which this summer destroyed 200,000 hectares in my home state of Tasmania. I know many Malaysians feel the same sense of despair about their loss of tropical forests to logging, palm oil plantations, mega dams, displacement of people and destruction of culture — all enabled by corruption. In 1992 at the Earth Summit in Rio, Prime Minister Dr Mahathir Mohamad was adamant that developing countries like Malaysia should not be denied the right to exploit their forests for the sake of rich countries that had destroyed theirs. But he committed to keeping 50 percent of Malaysia’s total land area under forest cover. Hence, the positioning of Malaysia domestically and in global climate negotiations since has been to use a narrow interpretation of climate justice to argue ‘let us develop, let us appropriate all natural resources of Malaysia and convert them to capital’. That mindset has persisted up until now, with dire consequences for the forests and the people who live in them, as well as for the global climate. Therefore, Malaysia, far from being seen as a leader in climate change action, is part of the Like Minded Group of Developing Countries including Saudi Arabia and India, which continues to see climate action as a development impost. This is in spite of the fact that the latest science shows that the real impost is the impacts of climate change on the people of Southeast Asia, who will be hardest hit by changes in rain patterns, rising sea level, coastal flooding and more extreme weather events. While the Like Minded Group of Developing Countries continues to support destructive mega projects and tout development for development’s sake, the world continues to move forward. The Paris Agreement in 2015 set a deadline for countries to increase their Nationally Determined Contributions to emissions reductions in 2020. Years of talk and no action has transitioned to serious engagement. Failure to act on climate is now understood to undermine a nation’s global standing, its international competitiveness and trade, the health of its people and its future. Countries like Malaysia, which had been heroes for the developing world, were losing credibility. Then in 2018, there was a change of government in Malaysia. The world celebrated. The election-winning platform promised a new Malaysia, ending corruption. On the climate front, it promised to set up a Council for Climate Change Mitigation and Adaptation. Climate change was formally incorporated into a ministerial portfolio with Yeo Bee Yin as the new minister. A solar leasing policy, feed-in tariff, net metering, together with a promise to increase the Renewable Energy Target from two percent to 20 percent by 2025 and a new Climate Act followed. However, all of the minister's analysis for climate change risk is based on 2°C. We know from the IPCC report that risks to health, livelihoods, food security, water supply and human security, as well as economic growth, are much higher at 2°C. We need to have the government refocus on the recommended 1.5°C and the extra effort that requires. Secondly, Yeo has said nothing about increasing Malaysia’s UNFCCC Nationally Determined Contribution (NDC) in 2020. We need to make sure that the extra effort identified is expressed in the Climate Change Act, and then conveyed internationally through the UNFCCC. These factors are crucial because a focus on 1.5°C and an increased NDC means rapid rollout of renewable energy and immediate forest protection. They are the only things that can deliver it in the timeframe. Malaysia’s tropical rainforests must be protected in order for the country to meet its climate commitments. The main emissions from Malaysia are from energy, transport, manufacturing, waste and agriculture. The latter means logging forests and conversion to palm oil. Malaysia is the world’s second biggest palm oil producer at the same time as it talks about the importance of forests as carbon sinks and reiterates Malaysia’s 50 percent forest pledge from 1992. The hypocrisy in this is evident to the world and the European Union’s moves against palm oil are just the beginning. This is deforestation, plain and simple. Malaysia will have to choose its forward path carefully. 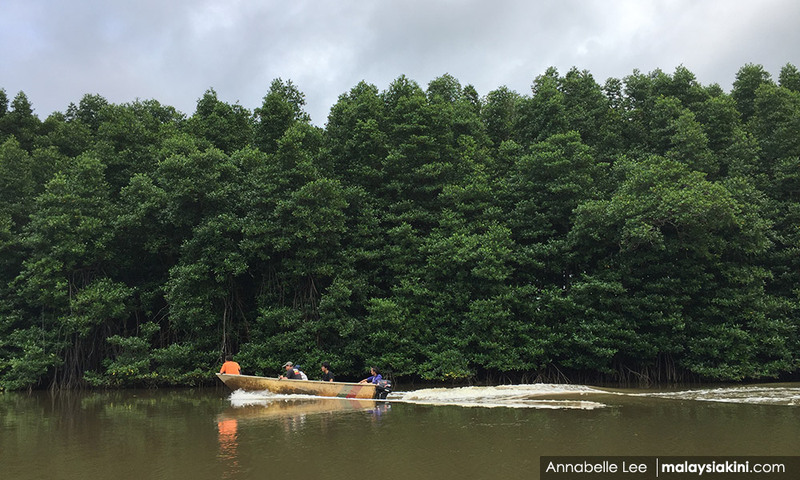 These new Ministries are on the knife edge of Malaysia’s 50 percent commitment on forest cover. Figures suggest it is down to almost 52 percent. They will be held to account if they fail on Mahathir's decades-old promise. Forest protection is Malaysia’s climate ace card. The IPCC has made it clear that the world cannot constrain global warming to 1.5°C without forest protection and restoration. The UN has just announced the decade of Ecological Restoration. Standing forests are the key to what could be Malaysia’s new development model of protection, stewardship and Indigenous rights. For the first time, failing to act on climate may well cost the country more in trade and geopolitics than acting to address it. In pure geopolitical terms, appropriate scale and affordable renewable energy protects a nation’s sovereignty, whereas major infrastructure projects can lead to unsustainable debt levels and carry substantial corruption risks. If Malaysia stepped up now, it would be a mega breakthrough. It would catapult Malaysia into a leadership position as the most talked about example of transformation and the go-to place for renewable energy business with its accompanying jobs and economic activity. It would take Malaysia from the back foot to the front foot in a global context and the window of opportunity is now.